Kitchen Snaps: Lemon Caesar Salad and FIVE FOR FRIDAYS. Five Photos...and a Recipe. Lemon Caesar Salad and FIVE FOR FRIDAYS. Five Photos...and a Recipe. 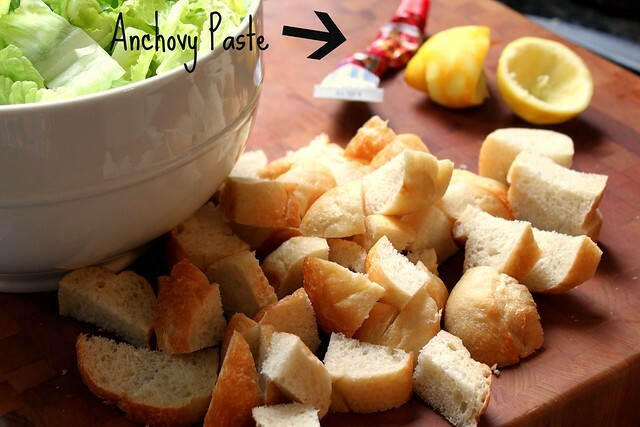 In a large salad bowl combine garlic, anchovy paste, lemon zest and juice, vinegar and mustard. 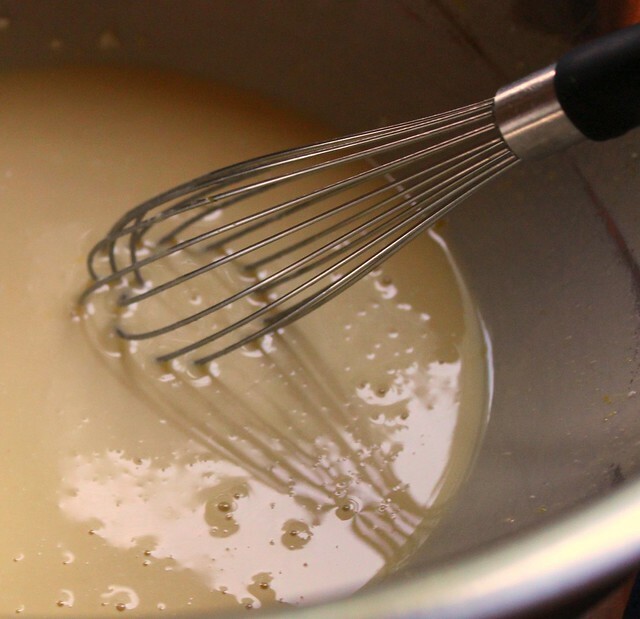 Whisking constantly, add egg and drizzle in olive oil until thickened. Whisk in Mayonnaise if you're using. Season with pepper. Add your Romain lettuce to the bowl with the dressing. Add your cheese. 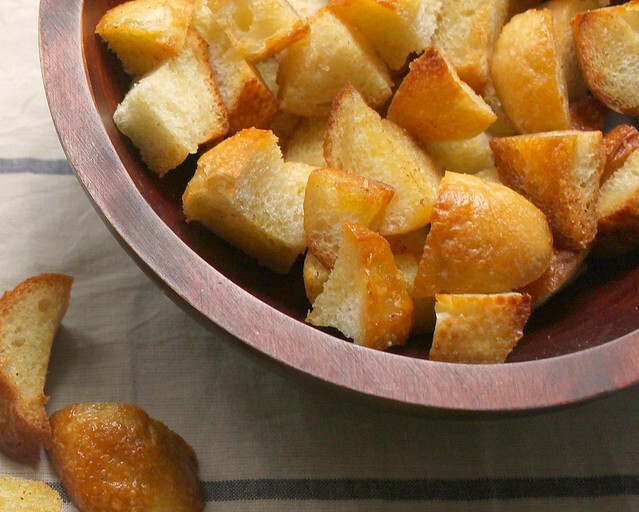 Toss well with tongs and top with homemade croutons. YUM!!!!! This looks so good! 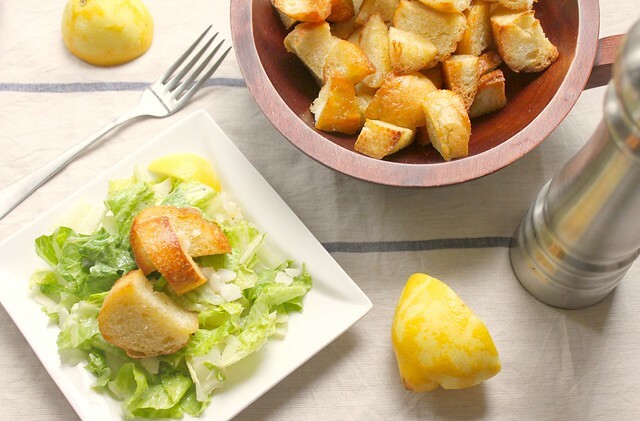 I agree with the croutons, too much is never enough :) Homemade caesar salad is just amazing stuff, can't wait to try this one! I love Caesar salad. Except for the anchovies, of course. I tried giving them to the cat but no dice. I figured no problem since I got a dog that'll eat anything. He turned out to be more discriminating than I imagined, however, and likewise turned up his nose at it. But, not to worry---the salad was good. Your recipe and pics look fantastic. This salad seems like it would perk me right up. 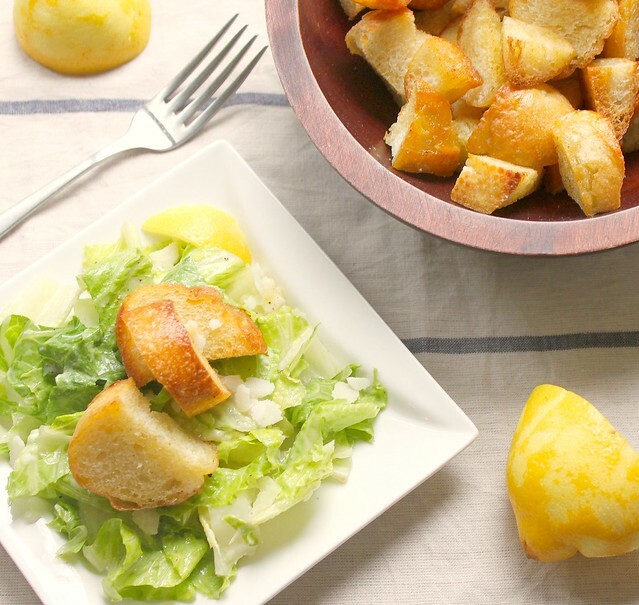 You lost me with the caesar salad, but I am drooling over your croutons! Oh good heavens. My mouth is watering. There is an expression I'm fond of: thing o'beauty. This is one of them. I adore Caesar salad. Love the anchovy paste. How do you get so much light in your photos?!?!?!? Beautiful! I love Caesar salad! Five pics...perfect number. Great salad..simple but very nice...love the home made croutons..
What a great looking salad! I know it has to be delicious! Great pics too! I will just take that giant bowl of croutons, if you don't mind. YUM!